I make a lot of quilts, specially in the last year or so, but I have given most of them away. However there are two quilts in our house that will never be given away. The first one is my first quilt. I did it under the watchful eye of my grandmother. She is so great at making quilts and knitting and just everything crafty. We made this over a long period of time since I was working and in school at the time and very busy. This little children's quilt taught me so much. We used the classic rail fence pattern and I just love the prints and how they work together. Do you have a fave quilt? And what is the story behind it? 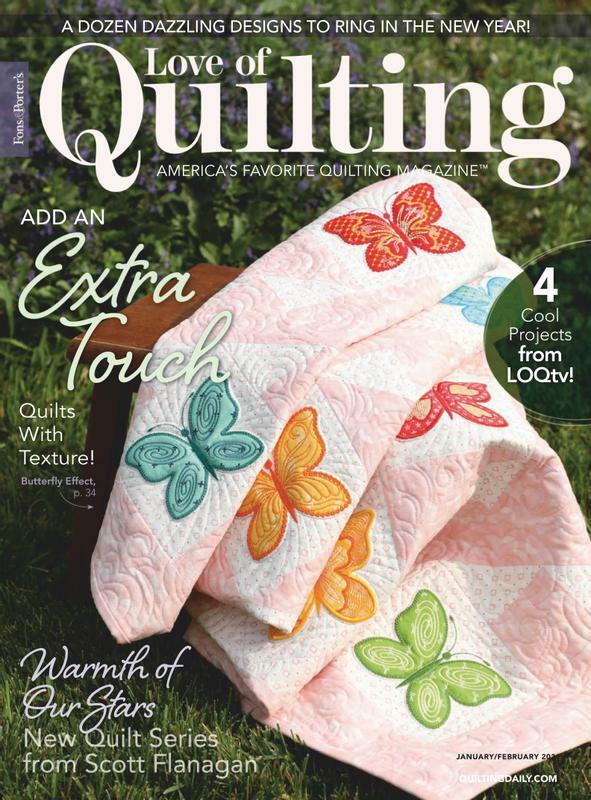 1 year, 6 issues - Fons & Porter's Love of Quilting brings you ideas, inspiration, projects, tips and techniques from master quilters Marianne Fons and Liz Porter. Just a fraction of what I plan to add to my sectret quilt project. This will take some time to sew on !!!! Today we went to Iwakuni to meet some friends. It was so much fun and we enjoyed it a lot. While there we walked to a famous bridge that I have blogged about before. But today it was espesially beautiful since the cherry blossoms where in full bloom. We walked through a tunnel of trees and Ohhh my God how beautiful. My friend told me that ehen she was in high-school this place was on her way to and from school every day!! What a beautiful way to bike every day. Margret is so energetic and I love to go for a walk with her. She loves rocks and trees and usually has her hands full of small rocks and branches after a while. She also loves to climb and if you look closely at this picture you can see that her knees are quite dirty by that point ;) White dress or not, these statues wont climb them selfs! !